Not too long ago I gave you a little teaser about The Speckled Goose expanding. Well we have moved into Past & Present Antiques & Gifts in Brighton, CO. We have a small space as you can see from the photo below. I will try to get better pics of the space. I have already made this months rent, so that is a good sign. Here are a couple of specific pics. So if you’re in Brighton, CO – stop by and say “Hi” to Lisa. She is doing a great job at the store. Stop by their facebook page and help share the love. Chili’s Breakfast Fundraiser is for the kids from Weld Central Middle School going to New York in June. All of the kids would love your support. Tickets can be purchased ahead, or at the door. If you would like to pre-purchase tickets let me know and I’ll provide the teachers contact info. Have a great day, and hope to see you there. 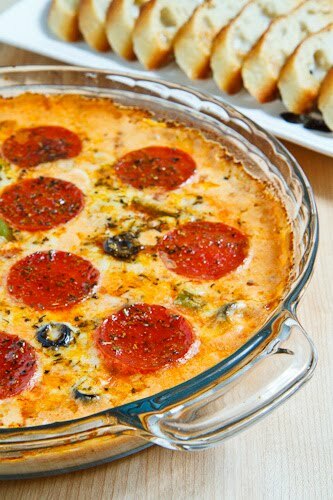 Pizza dip – boy this looks yummy – all the ingredients for this dip is on my shopping list. 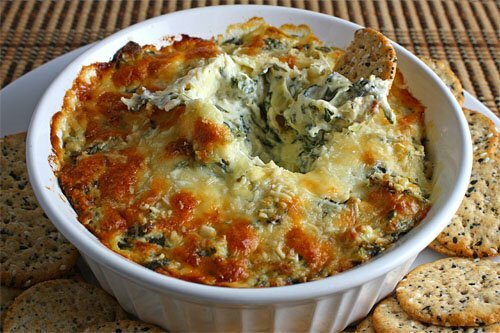 This hot spinach and artichoke dip is an amazing appetizer that will disappear quickly and leave you craving for more! Mix everything and pour it into a baking dish. Bake in a preheated 350F oven until the sides are bubbling and the cheese cheese has melted and turned golden brown on top, about 20-30 minutes. Have a great day, and more soon! I have recently admitted to my hubby that I have an obsession with vintage campers. I had a gal in the store the other day and she purchased a couple of pillows for her vintage trailer. I got so excited talking to her about camping in vintage trailers. I am going to take my time to research, collect, and obsess over vintage trailers for a while, but in the mean time I thought I would share a few pics that I have found, and fallen in love with. Oh, by the way, hubby rolled his eyes at me when I told him about the camping trips this gal goes on, and the vintage camper thing. What does he know?